My name is Jacob. 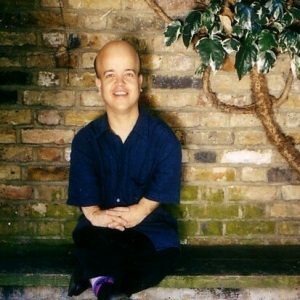 I always introduce myself as a twenty-something software developer, gamer; who has a Christmas cracker sense of humour; a slight affinity for caffeine; and who just happens to have Achondroplasia. Wowzers! We’ll be hosting our annual Mega Weekend event between October 26th and 29th 2017 at the Woodland Grange hotel – of which we have exclusive use – in Leamington Spa, Warwickshire. My name is Tom Shakespeare, I was born in Aylesbury, Bucks, and now I live in Norwich, Norfolk. 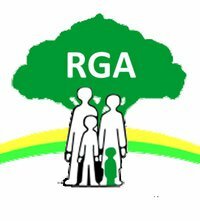 I am Professor of Disability Research at the University of East Anglia. I teach medical students, and I also conduct disability research, both in UK and Africa. Yes, I enjoy my work very much. It is very varied: teaching here, interviewing someone there, writing a paper after that. I enjoy meeting different people all the time. In particular, I really like my medical students, they work very hard and they are committed to what they’re trying to do. I also do media work – particularly giving talks on Radio 4 – which I find very rewarding because I get instant feedback from listeners. It’s always very satisfying to write a book – the feedback is not instant, more like a slow burn of appreciation. I left Uni and worked for a couple of years in the co-operative sector. I then went back to Uni and did a Masters and a Doctorate. After that, I worked as an academic for most of my career, with one five year break working at the World Health Organisation in Geneva, and another three year break to do arts activities. I sometimes wonder about that. I love media work, and maybe I could have tried to have become a journalist, either on a newspaper or in BBC radio. But I feel mostly content with what I’ve done with my life. Meeting different people is always rewarding. But I also love learning things, and this job is about continually finding new things out. My first paid work was counting laundry in a hospital for people with learning difficulties for a week. The laundry was soiled. I don’t think it’s possible to find a worse job. Best aspect is that everyone remembers you. Worst aspect, from the age of 50, has been the health problems – back pain for years, now paralysis and being reliant on a wheelchair. Don’t worry about relationships. If you have a positive personality, people will love you. Maybe Barrack Obama. He’s very clever. He’s very funny. He had a great impact on the world, and above all, he’s so cool. Cooking, reading, watching films, listening to music. Possibly The Blue Flower, by Penelope Fitzgerald. Or maybe The Third Policeman by Flann O’Brian. Or To The Lighthouse, by Virginia Woolf. So many books, so little time! I once used the word ‘antidisestablishmentarianism’, in the correct context, on BBC Question Time. I hope people are still reading my books after I’m gone, and that at least one of them is a novel, not just an academic tome! Here’s what she had to say. You can watch her TEDx Talk here. My name is Becky Curran. I’m 33 years old. I have Achondroplasia. I currently reside in New York City. I’m originally from south of Boston, Massachusetts, attended college in Providence, Rhode Island, and spent the first six years of my career in Los Angeles, California. I’m an international motivational speaker and an advocate for diversity and inclusion on a global scale. I spend most of my days working in the diversity department at the largest entertainment union, SAG-AFTRA, where we work to ensure greater levels of inclusion in entertainment and news media for performers who have been historically excluded. This includes little people. I thoroughly enjoy the work that I do. What’s really satisfying about my job at SAG-AFTRA is that I’m in front of people every single day, and am given opportunities here that I might not be given in other work places where my capabilities might be doubted. I got into this work to advocate for people who are physically different. After working at a talent agency and television studio for a total of six years, I began speaking to educate as many people as possible so they don’t doubt the capabilities of people who are often left out. My work at SAG-AFTRA is an extension of my advocacy work. If I was 21 again, I would have started speaking at more schools and organizations. It took until the age of 27 for me to start taking speaking seriously. Regardless, I moved out to California at age 22. Spreading my wings that early on isn’t something I’ll ever regret. I feel very respected at SAG-AFTRA and I love collaborating with my colleagues and our members. The schools and organizations where I speak encourage me to feel empowered. I would say that accounting, which I did during my first internship, was something I didn’t enjoy. However, I was glad that I gave it a try and then realized that it wasn’t for me. What you see is what you get. There’s no hiding being small. However I wouldn’t want to be born any other way. All I know is how to live my life as a little person. I may want to change the way that the outside world reacts to my difference but I’m fine being little. Be independent, stay true to yourself, and don’t get too discouraged by rejection. Everything happens for a reason and each rejection makes you stronger for the next experience. I admire my father. He didn’t have the easiest childhood but he went on to build the family and life that he always wanted. I love being by the water, photography, networking, traveling, trying new restaurants, spending time with family, and writing reviews for Google. My favorite book is “Daring Greatly” by Dr. Brené Brown. Influencer of more positive portrayals in the media, which led to more acceptance for all of the amazing little people who come after me. 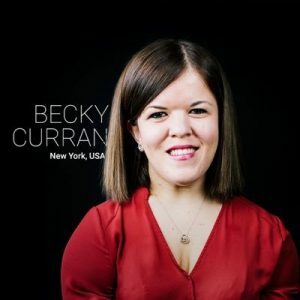 I would like to be known for my confidence, independence, perseverance, and all that I accomplished, despite living with dwarfism in an average height world.